Assassin's Creed Swords There are 4 products. Cadet sword Assassin's Creed including pod. Overall length: 56 cms. Length blade: 38 cm. Sword-size character Altaïr Assassin's Creed video game. 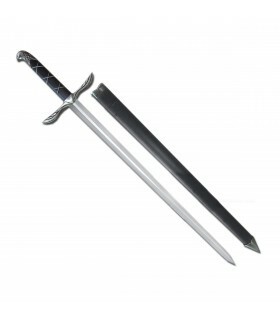 The sword has a steel blade and carbon. It includes sheath. It is a personal sword Altaïr used along Assassin's Creed, Assassin's Creed: Altaïr's Chronicles and Assassin's Creed: Bloodlines. Children's character sword videogame Assassin's Creed Altaïr. 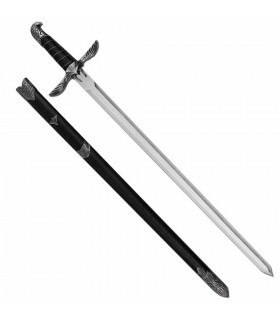 The sword has a steel blade and carbon. It includes sheath. 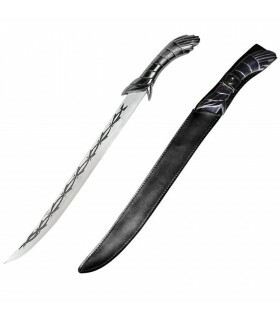 It is a personal sword Altaïr used along Assassin's Creed, Assassin's Creed: Altaïr's Chronicles and Assassin's Creed: Bloodlines. 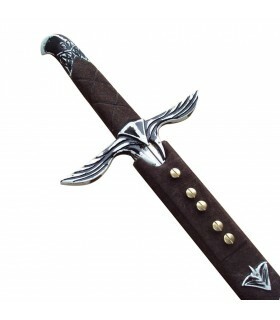 Sword Assasins Creed with blade made of carbon steel and pommel in the form of eagle head with guard in the form of wings. Includes matching wooden sheath lined in brown suede.